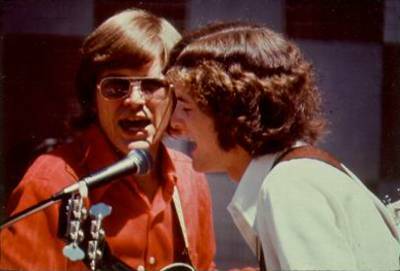 Northstar partners Scott Hybl and Curt Cassingham from a 1980 publicity photo. Gone are the 1970s hair and beards! Scott James Hybl (rhymes with Bible) is never one to walk away from a challenge. From managing a gigging garage band from his home during high school -- a home in the coastal mountain range just south of San Francisco where his nearest neighbor, and paying venues were miles away -- to building and operating Northstar Recording and Productions, Scott has faced his challenges with stern and driven determination. How'd he get that way? "Well, part of it was from living up on 'the mountain'," he recalls. "I have one sister and two brothers. Our parents loved us but Dad was pretty strict. Since I was the oldest, and the one to take the heat when one of us fouled up, I made sure there were things to do so we'd all be able to stay out of trouble." Of course, the main impact to his life was receiving Jesus Christ as his Lord and Savior. "I really couldn't have done it without Him," says Scott. "Lots of kids at our school lived up in the mountains, and with nothing positive to do and no direction in their lives, lots of their own lives went down the tubes." "My brothers and I formed a rock band," he continued. Big fans of acts that ranged from The Kinks to The Yardbirds, the Hybl brothers worked hard at honing their craft. Though their band never really made it off the mountain, Scott has stuck with his music. His brother Jeff occasionally still dabbles with a drum set, but brother Joe says he couldn't even begin to recall any guitar chords. Scott, a straight-A student and Valedictorian of his high school class, eventually graduated from Menlo College with honors. Still interested in music, he easily picked up on the art of songwriting. 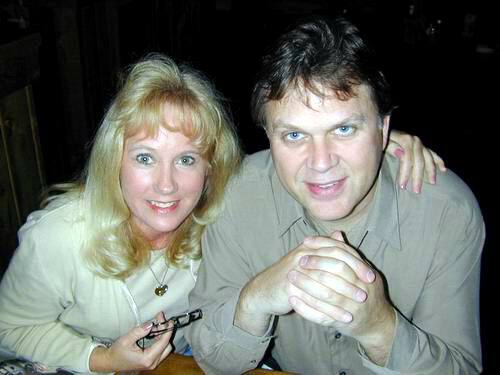 By the time he was 19, he'd already sold a song to a prominent Christian music publisher...unheard of back then when the only "successful" songwriters were those who were already professionally-contracted to the record labels. At 21, Scott was the youth minister at First Baptist Church of Menlo Park (California), directing The Living Christmas Tree, one of the first of its kind. By age 23, Scott had written dozens of songs, some of which he'd included in two modern Christian musicals Tomorrow May Never Come and Travelin'. "We toured with the kids as The Forever Family all over the western states in busses and motorhomes, and even took Tomorrow to Hawaii on two different occasions," wists Scott somewhat nostalgically. Daybreak repertoire included covers of popular songs, and many of Scott's own compositions. "It was fun transcribing the songs, especially the horn parts," Scott recalls fondly. "Of course, most of the pop songs we covered weren't always Christian, but they did all have a positive message to share." Concerts would usually include band members' giving testimony about how they had come to know Jesus in their own lives, and inviting kids from the audience to hear more, one-on-one, if they wanted. "Pretty much an impossibility these days, now that God has been all but completely banished from public school," sighs Scott. "I met my future wife Sue Holder," Scott says of his next challenge. "These days when over half of all marriages end in divorce, we made sure our lives were Christ-centered." Never wavering from their faith or his love for one another, they've been married over 30 years. Another challenge was getting Tomorrow May Never Come recorded and pressed into an album. "I had to learn the billing tactics...I mean, methods, of a recording studio! We booked a local studio, and learned the hard way the first day that the clock starts ticking, and the bill starts going up, the moment we walked through the door. From the next night on, we massed the entire group of kids, band members, soloists, or whoever was playing that night, and when everyone was there, we'd go in and get right to it. The door was literally locked after we went in; latecomers had to be turned away. It was hard, but we had to do it that way or we'd lose momentum (and money)." Scott later used that method during choir rehearsals. "We locked the doors 15 minutes after choir rehearsal started. We made a few parents and kids mad, but they eventually realized why we did it that way, and came to respect me and the rest of the choir." The final presentation bore witness to that in the tight, professional performances by the Family." During the taping of Tomorrow, Scott's interest in studio recording was set for life. "I met Curt Cassingham, who came to Menlo right after the album was released. I lost my bass player when he went to college, so Curt, a guitarist at the time, rented a bass and learned to play it and all our Daybreak and Family charts. He'd had his own studio experience, and when it came time to record two tunes with Daybreak, his help in that project was quite valuable." One of the Daybreak tunes was Fire In Your Heart, which appeared on Scott's first album, the out-of-print 1977 Clouds, Tears and Mountains. Scott's next challenge was making the decision to leave First Baptist Church to study music at Portland Oregon's Western Conservative Baptist Seminary. "I was given a full scholarship. One of the church's matriarchs Mrs Packard (of Packard-Bell electronics and aerospace) saw the potential in me, and since I could never have afforded it on my own, I accepted her generosity." In 1976, Scott and Sue packed up their belongings and waved tearful good-byes to dozens of choir, church and family members, and headed for Portland. Scott reworked Travelin' for his final thesis, for which he earned an A. He graduated, again with honors, with the degree Master of Church Music. It must not have been easy; during that time, Scott co-founded Ark Records with keyboardsman and songwriter Jeff Johnson. "Curt came up to help us build the Ark studio back in the 70s. Eventually, Jeff's and my music began going in different directions. We parted ways as businessmen, but we're still close friends." One of Scott's biggest challenges was building Northstar. "Curt moved up here in 1978. We'd always talked about opening our own studio one day. You know, lots of times people talk about things they'd do in the future but mostly they never get around to it." While vacationing in Portland earlier that year, Curt applied for a few jobs, just to see what would happen. He got one as a draftsman for a local engineering firm. "At the time, Curt had that day job and I had a night job. Between us, we managed to come up with plans for the studio itself, and since I worked at night, I could use the daytime after I got up to make calls to various equipment vendors and such to come up with a package of gear we could record with." 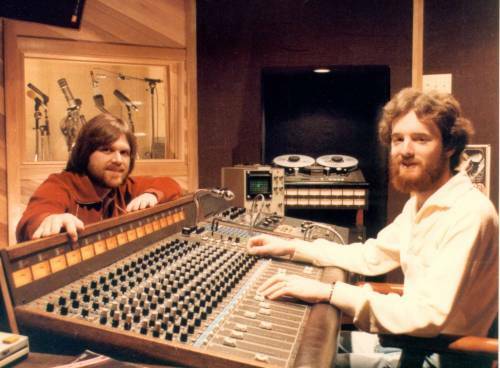 Their first console is still in service in the studio's B room, but the original one-inch 16-track machine sits unused. "Nobody records on those anymore. Everyone wants digital, either hard disk or ADATs or what have you." Clients occasionally still opt for the studio's two-inch 24-track Otari, for that 'phat analog' sound. "Curt prefers to work with that machine," laughs Scott. Now with two complete recording studios and a third one for mastering CDs, Northstar has been in business for over twenty years. Scott has managed to continue writing and recording his own songs. His perfectionism comes out in his work with clients, as well as his own recordings, his diligence shows in his two CD releases, 1986's Brick, and 1996's In The Mirror. "I am my own worst client. On Brick, we'd done most of the music tracks. Then I bought my first Emulator, and added a ton more parts. I also kept Curt in the studio playing bass for about twelve hours over two nights' work...on two songs! I'm sure he was sick of me by then! Then ten years later, I'm working on Mirror. After I had done most of the lead vocals, I didn't like the intonation on some of my lead vocals, so I decided to sample them all into the Emulator to correct them, and then lay them back onto the multitrack tapes!" Now, with two grown children and one in grade school ("Let's not go there!" he pleads), Scott sees his life, and his future, as bright and promising as ever. "I have a fantastic wife and great children, and of course my Lord Jesus Christ. He promised He'd never give me anything I couldn't handle."